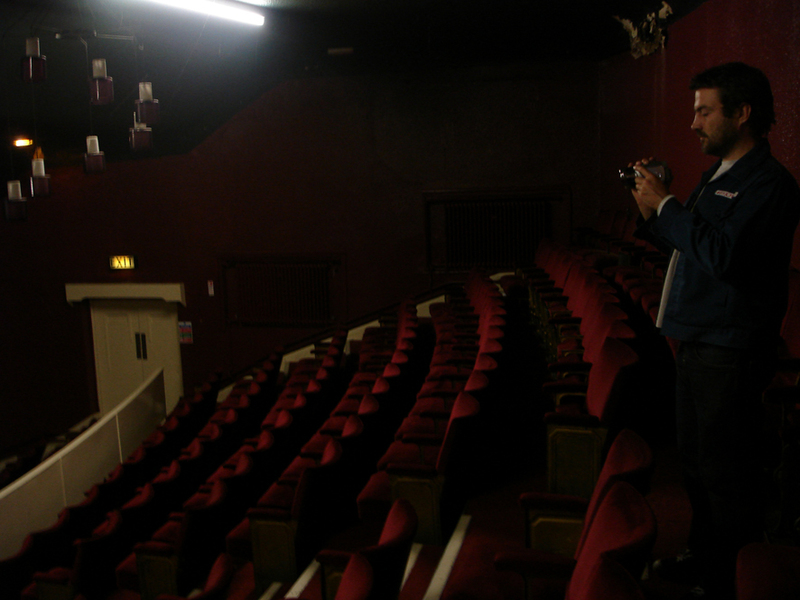 In 2010 Sideshow commissioned Annexinema to create an event and new work at the Byron Bingo (formerly cinema) in Hucknall. During our time researching the building, Nes quietly filmed its disused and crumbling auditorium, projection booth and other corners gathering dust. Dallas Simpson, whom we had commissioned to work with us at the Byron, undertook a similar exploration, but in sound. Dallas produced a hauntingly beautiful binaural recording of the building as he improvised in real time with found objects, furniture, equipment and surfaces in the cinema. On the night of the event, audience members each listened with their own set of headphones, as the cinema was awakened with the sound of its past. Having had time to reflect on the process and work undertaken at the Byron, in 2012 we decided to create a new work that combined our footage and Dallas's sound. Nes edited these together into a short film called Byron Ghosts. 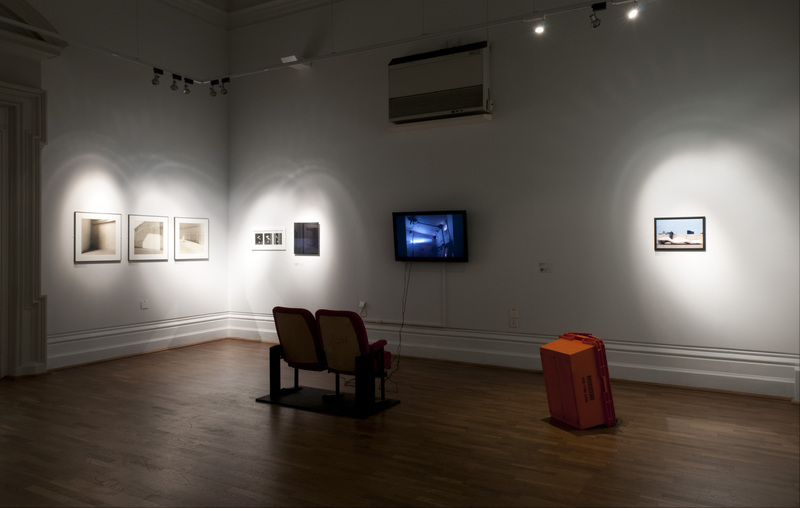 We submitted the work to Nottingham's Castle Open Exhibition and were pleased to be included in the show, and even more pleased when the film won the Broadway Artists' Film & Video Award. You can watch a shortened version of the film on youtube here. With thanks to Jennie Syson, Dallas Simpson, Byron Bingo, Tris Aver, and Mat Trivett.